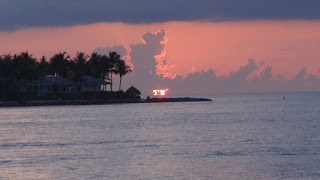 Key West, a Caribbean island city and part of the Florida Keys that lies approx. 90 miles north of Cuba. Famed for its pastel-hued, conch-style houses and laid-back attitude, it’s a cruise-ship stop also accessible from the mainland via the Overseas Highway. It’s known more for its coral reefs – destinations for diving and snorkeling – than for its beaches.